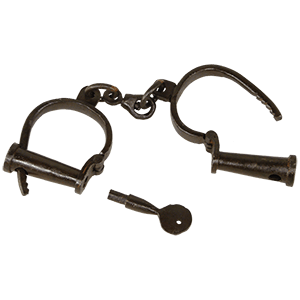 We offer fully functional locks, shackles, whips, dungeon keys and dungeon chains. The dungeon is a part of medieval history where prisoners were taken for treason, thief or any other crime. 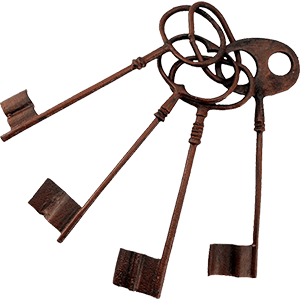 Our dungeon wares are great for stage play, theaters, medieval re-enactments and movies. Whether your activity is roleplaying or reenactment, we have many styles of medieval whips for punishment and dungeon locks for keeping your prisoner from leaving. These are essential to any dungeon and also make interesting decor. We offer a varied selection of medieval whips. We have bullwhips, cat of nine tail whips, punishing whips and sjamboks that are made of top grain high quality leather. Our leather bullwhips are extremely durable and suitable for professional or recreational use. A dungeon or torture chamber would not be complete without these dungeon whips.